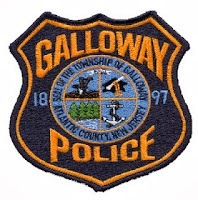 On Friday, May 9, 2014 at 8:33 p.m., the Galloway Township Police Department responded to the 200 block of North Leipzig Avenue in reference to the report of a child left unattended in a vehicle. Upon arrival police located the accused, resident Troy Bowser, 26 of Galloway, who appeared to be under the influence of narcotics and was incoherent. Bowser was supposed to be babysitting the 3-year-old child who he left in the car for approximately 3 hours according to the child’s parents who were contacted. The child was not injured and was turned over to family who transported her to the hospital for a medical evaluation. Bowser was arrested for endangering the welfare of a child and possession of heroin. Corporal Gerald Houck was the investigating Officer.